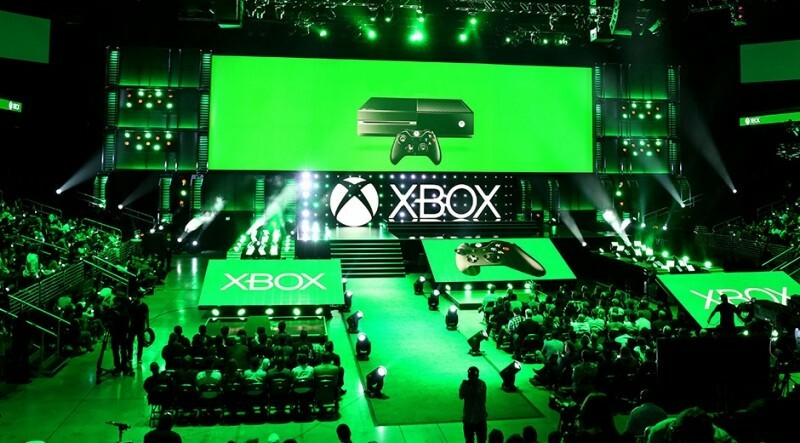 Microsoft’s 2015 E3 keynote certainly didn’t disappoint (here's the replay in case you missed it). The Xbox One was predictably the focus of today’s event but it’s what the Redmond-based company is doing with its console as it relates to PC gaming that may surprise you the most. For starters, Microsoft revealed that it is bringing backwards compatibility for Xbox 360 games to the Xbox One. Older titles – both discs and digital games – played on the new console will enjoy the same features as Xbox One games including broadcasting, screenshots and DVR capabilities. Game saves, achievements, your Gamerscore and more will also transfer over so you won’t have to start fresh if you don’t want to. And if you already own a game, you won’t have to purchase it again (an obvious dig at Sony’s PlayStation Now streaming service). Microsoft noted that Xbox One owners will be able to play multiplayer Xbox 360 titles against those that own the older system. Xbox Preview Program participants can try up 18 games initially with plans to have more than 100 compatible titles ready by the holiday season. The only hurdle mentioned is that developers will have to approve their titles for backwards compatibility. You know you’ve come up with a good idea when the rest of the industry copies it. That’s more or less what Microsoft is doing with Game Preview, a new feature that allows gamers to pay to play games that are still in development. An obvious lift of Steam Early Access, Xbox Game Preview allows gamers play a trial of an in-development game free of charge. Based on this, prospective buyers will be able to make an informed decision regarding whether or not they want to buy in at the early stage or wait for the finished product to launch. Xbox Game Preview launches today with access to two upcoming games: The Long Dark and Elite: Dangerous. Last but certainly not least, Microsoft announced that Fallout 4 on the Xbox One would support PC mods. Not much is known about this feature as of writing but I can tell you that this is a huge step in terms of blurring the lines between the two platforms. Console gaming certainly has its advantages (portability, cost, ease of use, exclusive content and so on) but PC gamers have long maintained that their machines are more powerful and the ability to mod can bring a whole new aspect to a game. Mods were reason enough for many to hold off on buying console versions of Grand Theft Auto V. Now that the game is finally available on PC, we’re seeing some incredible user-created mods that add all sorts of new dynamics to San Andreas (and even Vice City). It’s unclear if PC mods will be coming to other Xbox One games but the potential is certainly there and Microsoft would be wise to take advantage of it. As The Verge correctly highlights, we’ve recently played witness to companies trying to merge the convenience of console gaming with the flexibility of PC gaming. Valve’s Steam Machines are a prime example of this but thus far, the effort hasn’t yet taken root. Where Valve is taking a PC’s square peg and trying to force it into the console’s round hole, Microsoft is approaching the same idea from the opposite end. They started with a console and are gradually adding PC-like features and capabilities, a strategy that seems to be working out quite well.